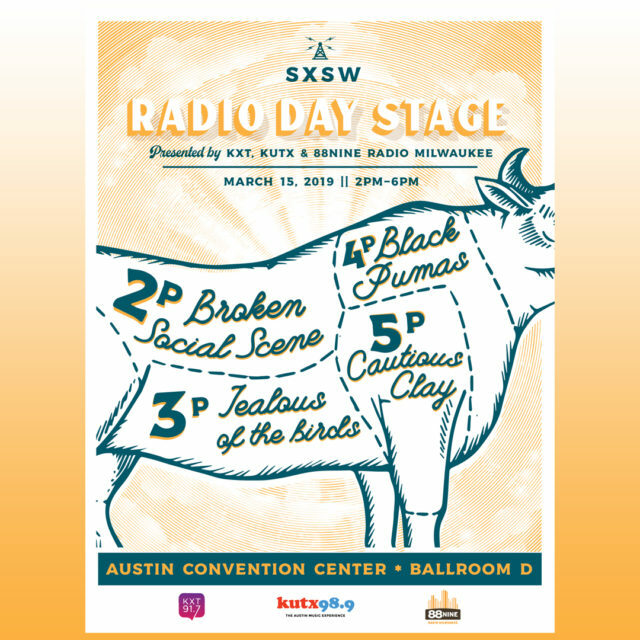 Watch Radio Milwaukee live at SXSW 2019! This year, we have been asked to host the Radio Day Stage. The day stage is a prestigious spot from the festival. Some of the best public radio stations team up every year and broadcast some of their favorite up-and-coming bands to public radio stations all across the country. We are joining KUTX98.9 and KXT91.7—the two best public radio stations in Texas. On Friday, March 15 from 2-6 p.m. we will be broadcasting out of the downtown convention center and out to the world. Justin Barney will be playing host with DJs from KXT and KUTX and reporting live in between sets. Check back here on Friday to watch the livestream! 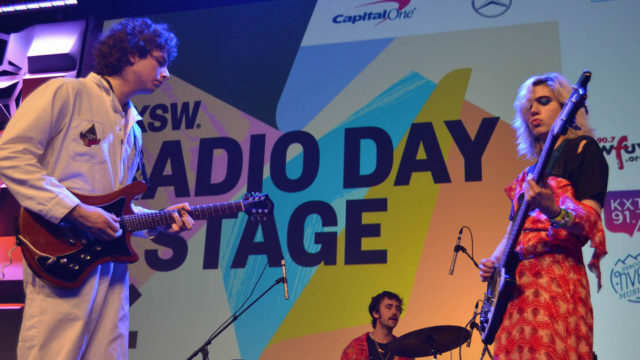 South by Southwest is the ultimate musical discovery festival. At a normal festival, the most important band plays at the end of the night and the less important bands play during the day. Not at South by. At SXSW, every band is treated equally. They play in the same small capacity clubs at different times all around the city of Austin. That’s why it’s been such an institution for so many years and why we are so excited to be there this year.